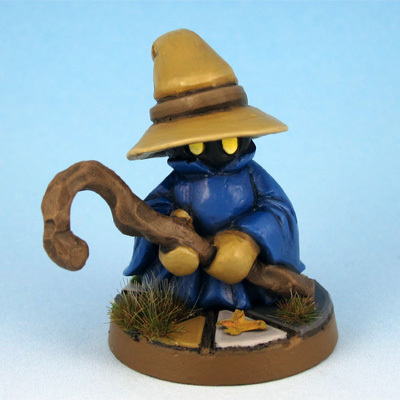 To finish of my Velvet Mark month I painted up the famous Final Fantasy Black Mage. May nears its end and with it my Velvet Mark month, too. As a fourth entry I decided to paint his version of a witch elf. I actually found a Warhammer Fantasy Dark Elf Codex from 1996 in my old tabletop stuff. Love how this mini took me back to this time. Same goes for a lot of Marks minis actually. Really like that. For my third Velvet Mark mini this month I decided on his chibi interpretation of a Skyrim Spriggan. I spend countless hours in the frozen land myself and the mini seemed a fitting tribute to my fond memorys of the game. As with all my chibi minis I went with my typical self made flagstone base. In this case I wanted to add a bit of nature and so I used some old Games Workshop and Busch bits, along with some self made mushrooms and MiniNatur grass to spruce up the base. 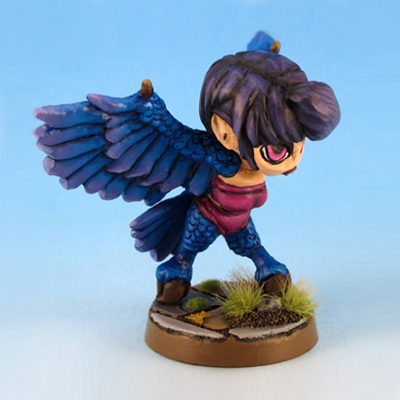 My second entry for my Velvet Mark month is a colorful cute little chibi harpy. 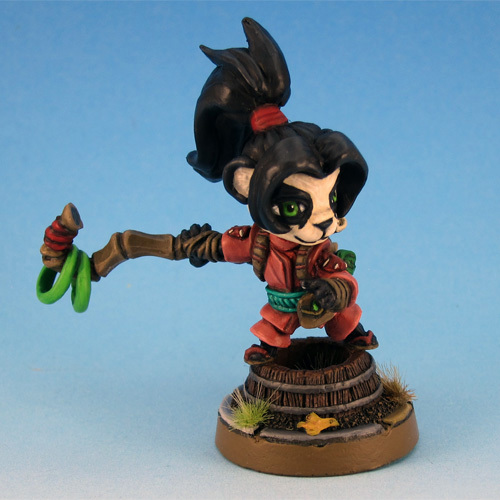 Velvet Mark offered to sculpt a chibi mini for me this march and I decided on World of Warcrafts Pandaren adventurer Li Li Stormstout. The result was, in my opinion, one of the best minis he has ever sculpted, which is easily the same quality as commercially available chibi minis by professional sculptors. I am deeply impressed by his work. Using his new pressure cast setup the quality of the cast is equally impressive as the sculpt itself. The model came with no bubbles or mold lines, just some easily removable flash. After working with the Privateer Press Conquest for weeks it was a joy to work with this model. In celebration of this wonderful model I decided to paint one of Marks models each week this month, making this my official Velvet Mark month.